We are among the most prominent importers, suppliers and wholesalers of highly demanded (Bevacizumab Concentrate Injection). The drugs we offer are prescribed for the effective treatment of kidney, colon and rectal cancers. Formulated under the supervision of skilled professionals using good quality ingredients, these drugs are also used against lung cancer, breast cancer and brain tumors. Our organization is actively engaged in wholesaling, distributing, trading and supplying ofAlimta Injection. The offered alimta is tested on numerous quality parameters by vendor's quality controllers for dispatching a flawless range. This alimta is well processed by using the top grade ingredients and sophisticated technology, in compliance with the medical standards. 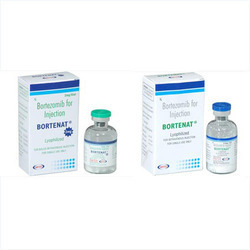 We are the leading Supplier and Exporter of Bortenat Injection. 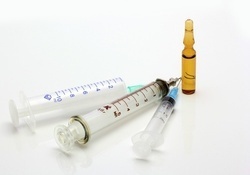 Bortenat Injection is used in medication of a cancer chemotherapy drug used to treat certain types of tumors like multiple myeloma, mantle cell lymphoma. It blocks certain proteins which helps to slow the growth and spread of the cancer. 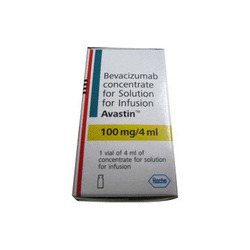 Looking for Bevacizumab Injection ?